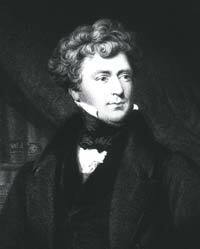 Dr. James Blundell ( 1791 Holborn, London, England – 1878) performed the first successful transfusion of human blood to treat postpartum haemorrhage. 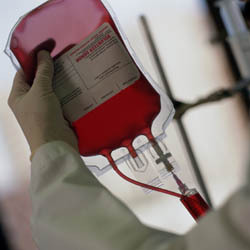 The donor was the patient's husband, Blundell extracted four ounces of blood from his arm to transfuse into his wife. Between 1825 and 1830, Blundell performed 10 transfusions, five of which were beneficial, and published his results. He also invented a number of instruments for the transfusion of blood. In the 1660s, the physician Richard Lower gave a demonstration of blood transfusion between animals in front of his distinguished colleagues from the Royal Society.